As part of the Transition Year Religion Programme,a group of Transition year students were selected to take part in 'Buddy Reading' associated with 'Youth for Justice'. Six students were chosen, five girls and one boy, to participate in 'Buddy Reading' at St. Michael's Primary School, every Tuesday for approximately six weeks. 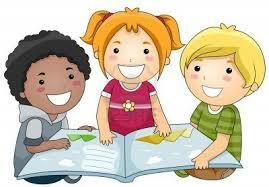 The aim of 'Buddy Reading' was to improve the children's literacy levels and to increase their desire to read. Youth for Justice is a school programme that St. Aidan's take part in every year, it is mainly associated with the Transition Year students in St Aidan's as well as nationwide. It aims to inspire young people to become actively involved in voluntary activities in order to improve or make a difference in their local area. Projects can vary from working with elderly people to providing meals on wheels. Groups that participate in Youth for Justice are invited to a 'day out' at the Youth for Justice Exhibition which is usually around the end of the school year. At the exhibition we are required to portray the work that we have done in partnership with the Youth for Justice programme. This event is usually held at the Nuremore Hotel, Carrickmacross, Co. Monaghan. Ms. Attracta McNeice, the Youth Developer Officer with St. Vincent de Paul, visited the each Transtion year class to inform us of what the programme entailed. She provided us with advice and information on how to work on specific kinds of projects. She returned to the school aiding us with any queries that we had throughout the programme’s course. On our first day of the 'Buddy Reading' programme, we were paired with a pupil from Ms Moore's First Class. We then met with Ms O'Reilly who was facilitating the programme at St Michael's. Each T.Y. student was given a folder by Ms O'Reilly where we had sheets to keep track of each child's progress and a record of every book which they had read during the duration of the programme. We were encouraged to tell three things about ourselves to the child at the start of every reading session in order to build up a comfortable bond with the child. We are now on our fourth week of the programme, and will re-commence the reading sessions when we return from our school trip to Germany. Overall we feel so far it has been very successful, and we think it is definitely improving each child's literacy and broadening their vocabulary. As part of this programme other Transition Year students are linking up with the Darley Health Centre where they interact with the elderly people through music and playing games.